I started traveling to Africa on health-related missions at the beginning of the 1980s. And from the beginning Africa caught my interest, and my imagination. It is, after all, the continent where my father was born, when my Lebanese grandfather went to work providing food to miners in Transvaal. That I went on public health missions was a big advantage since it allowed me to go to places and see situations that no tourist normally sees. I realized that there are two Africas: one normally portrayed in the media, a land of poverty, disease, and war. 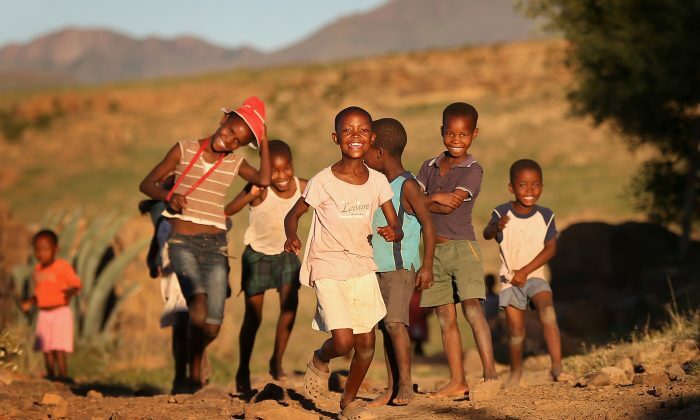 And another Africa: a vital, energetic continent of hard-working men and women, a continent of beautiful children and young men and women, a continent of humor, and a continent of hope. Today, six of the ten fastest economies in the world are in Africa. To do that, it is important to provide them with the basic skills that would allow them to live up to their earning potential. UNESCO and the International Labor Organization (ILO) have recommended that governments, international donors, and the private sector develop integrated policies to create jobs for young people and ease the transition from school to work. In the health area, although considerable progress has been made in the fight against HIV/AIDS (South Africa will become the first African country to fully manage its HIV care and treatment program in a few years), other challenges remain. HIV/AIDS, however, is not the only concern. South Africa has the highest tuberculosis death rate per capita worldwide, followed by Zimbabwe and Mozambique. The situation is worsened by the high number of cases of multidrug-resistant tuberculosis (MDR) in several countries. In addition, diarrheal and respiratory infections, malaria, measles, and malnutrition represent big threats to children’s health. Malaria is the leading cause of death among children under 5 years old. The continuing exodus of physicians and nurses to industrialized countries makes health problems even worse. The World Health Organization (WHO) estimates that 23,000 health care workers leave Africa annually. Malawi, a country of 15.38 million people, has a severe shortage of doctors and nurses. There is only one doctor for every 40,000 people in the country, according to WHO. Health problems in Africa cannot be considered in isolation, and they still require foreign technical and financial assistance. More efforts need to be made to increase access to primary health care, especially in rural areas, accompanied by health promotion, disease prevention, and improved health education activities. I would not send private money to a charity, or foreign aid to a government, unless every dollar was accounted for. Dumping more money in the same old way is not only wasteful, but stupid and harmful. Aid to Africa should be aimed at strengthening civil society and community-based organizations. African governments need to provide education for all age levels, and they need better trade conditions for their products. They need financial assistance given in a carefully planned and responsible way.